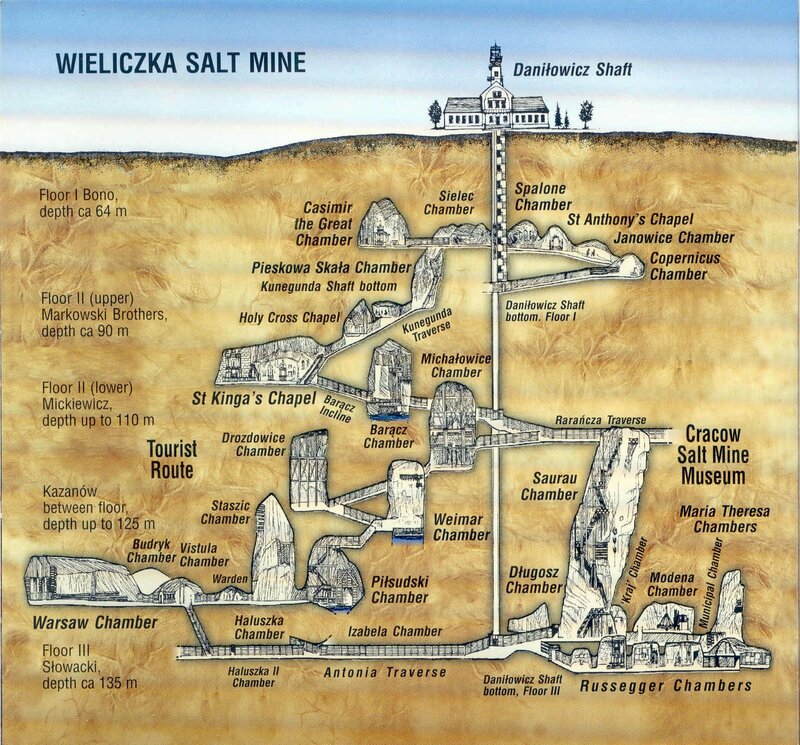 Wieliczka Mine is one of Poland’s busiest mines. But the people who travel 300 feet underground everyday do seem a little bit older and better dressed than your average miner. 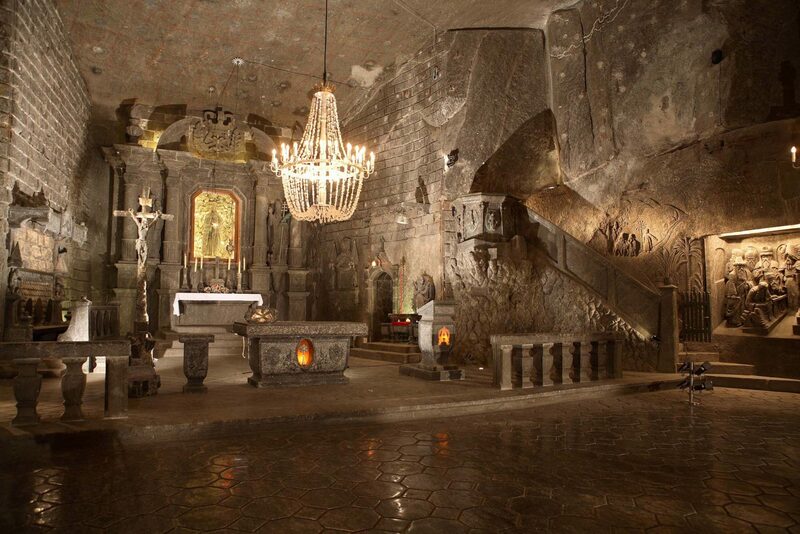 This is no longer a functioning mine but every year more than a million worshippers, not mine workers walk along dank dark, water soaked corridors deep underground to get closer to God.They go on this strange journey to visit St. Kinga’s chapel.A vast underground chamber that measures 177 feet long, 60 feet wide and 40 feet high. Incredibly St King’s Chapel isn’t the only chapel down here – there are 39 other places of worship dotted about the mine. 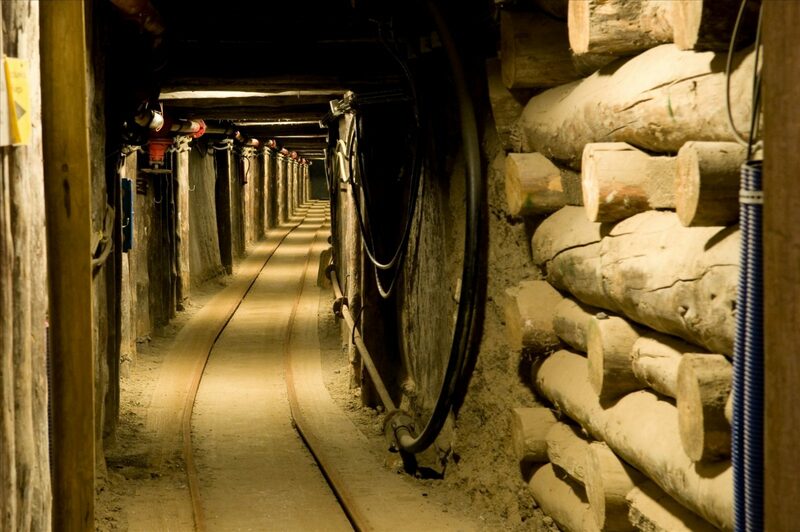 They’re spread over 9 levels, the deepest is 1000 feet below the surface.They’re connected by 200 miles of tunnels and 2000 other chambers. People have been coming down here for 300 years to worship. 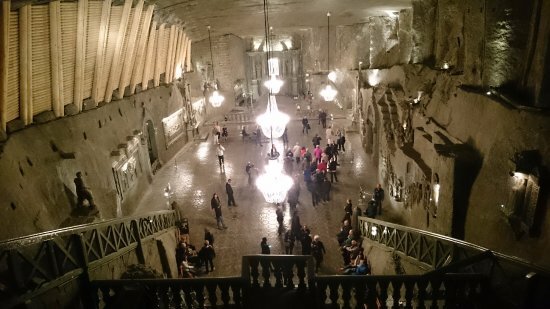 “The work underground was started in 1280 so the mine has more than 700 years, it’s a labyrinth” explains Marek Strojny, the mine’s guide. But what’s more astonishing than the size and number of chapels – is that they are all hand carved from salt. The religious statues are salt ….. Even the chandeliers are made from it. Originally this vast mine was dug out by hand to extract rock salt. In the middle ages long before the invention of refrigerators, salt was used to preserve fish and meat. So highly prized was it that miners would take enormous risks to get it. Back then, methane gas explosions, floods and fires killed 10% of the workforce every year. Not surprising then that miners sought protection from a higher power. “There were a lot of accidents every year here. They wanted to pray underground before and after their shifts,” says Strojny. 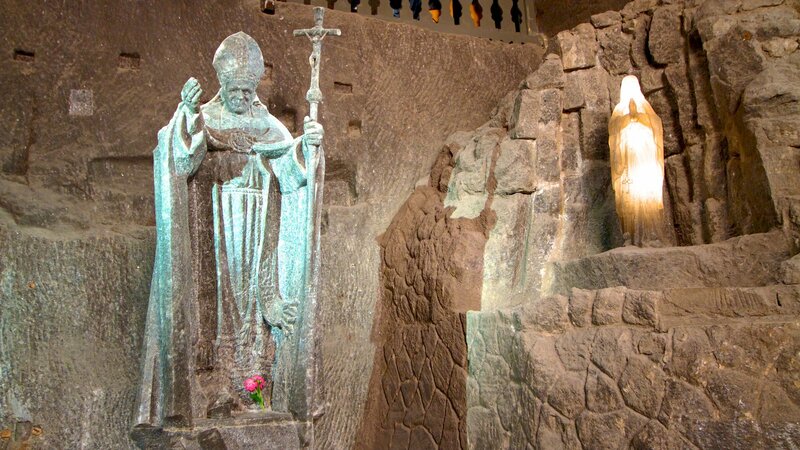 As they prayed, the Catholic miners carved crosses or statues into the salt. Over the years, these grew into whole chapels. 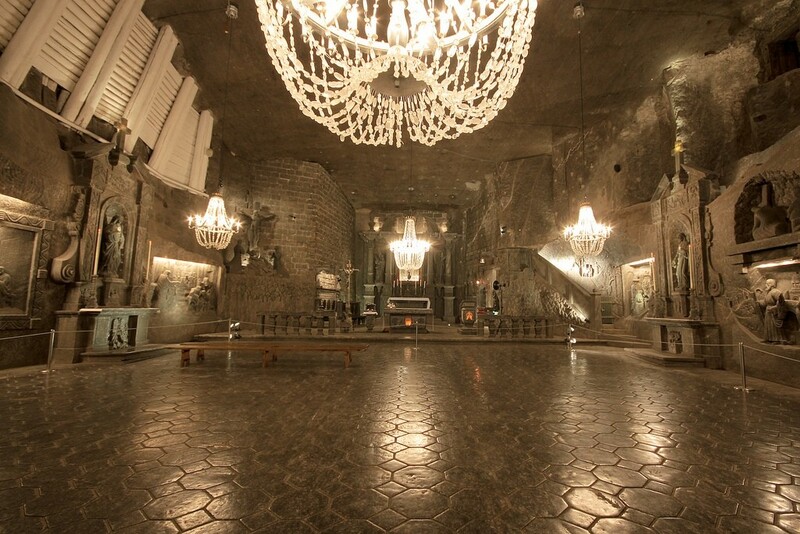 The mine closed in 2007 but believers continue to come deep underground to try and get closer to heaven. 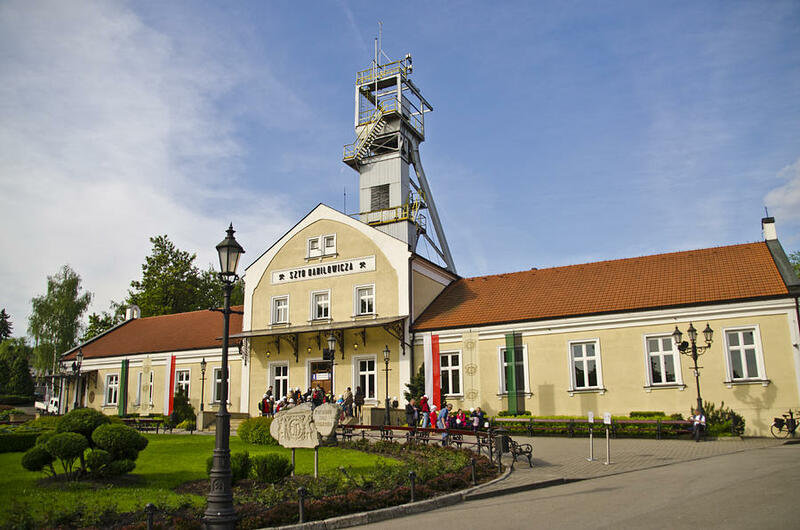 In 1978 the mine was placed on the UNESCO World Heritage list. More strange but true stories: The town where girls turn into boys at the age of 12.